THE AMAZING COMBINATION - Vitamins K2 & D3 work together in the correct dosage to help absorb and transport calcium to the correct places on the body. 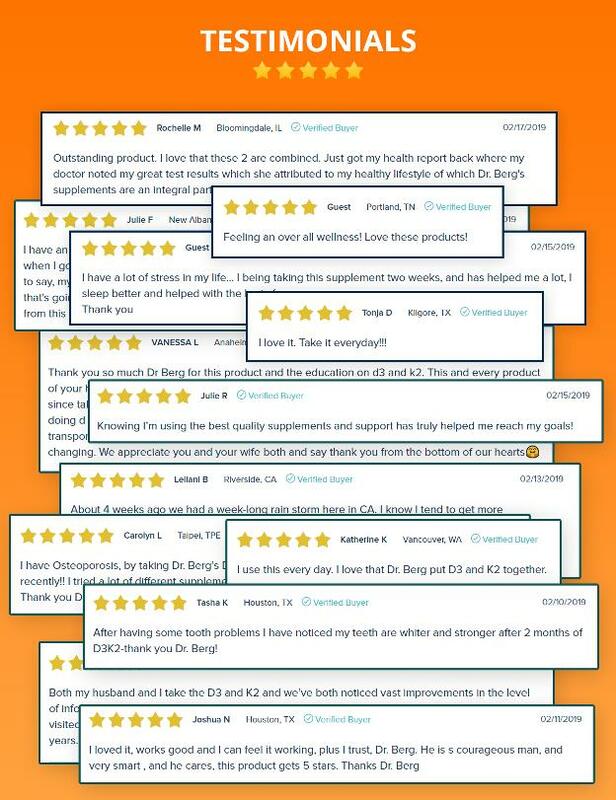 Most people know the benefits of Vitamin D (maintaining strong bones, immune system support, healthy muscle function, etc. 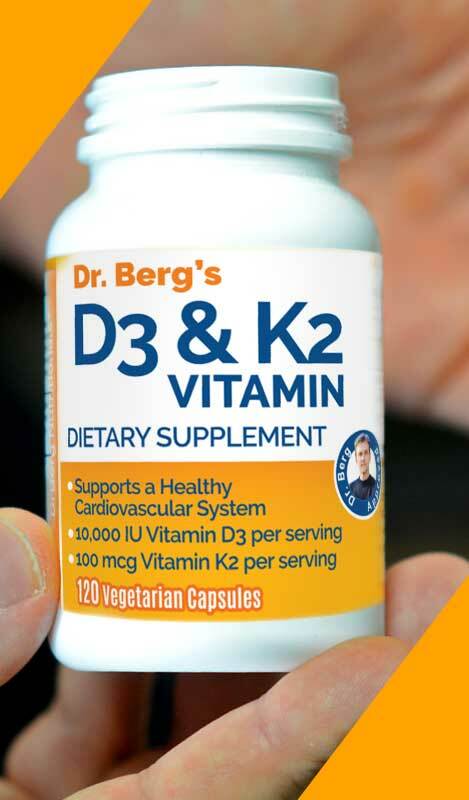 ), but many don’t know that Vitamin D assists Vitamin K2 to work at its capacity. 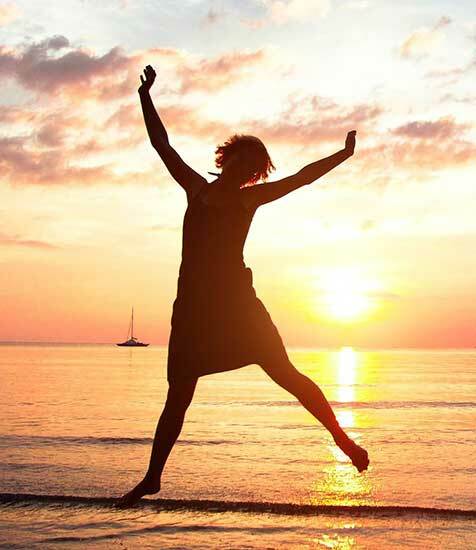 Our Vitamin K2 (MK-7) is a natural source and helps support healthy bones. 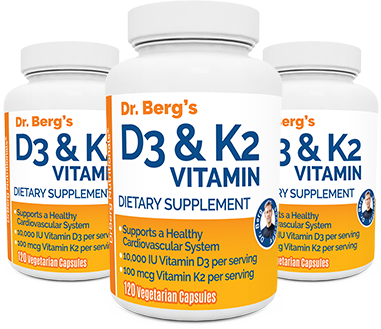 Dr. Berg recommends using the combination of 10,000 IUs of D3 and 100mcg of K2. 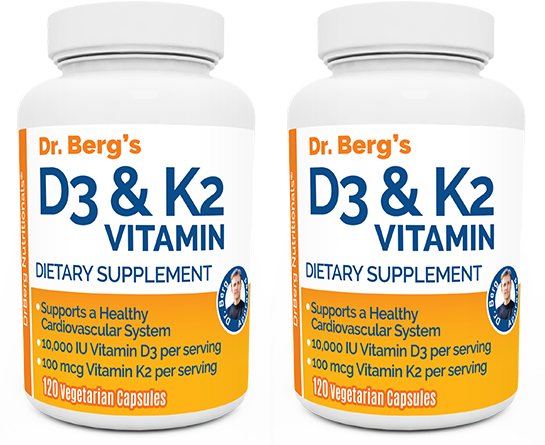 With the addition of purified bile salts, D3 and K2, both fat soluble vitamins can be better absorbed. 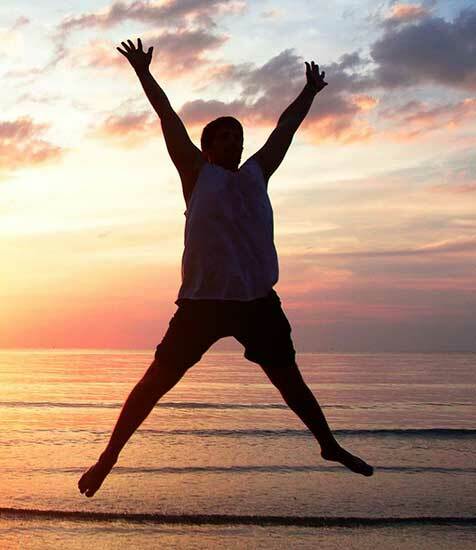 STRONG BONES- Vitamin D3 normally helps absorb calcium from the intestines by a factor of 20X. With this complex, you’ll get the benefits absorption as well as transporting calcium in the right places. 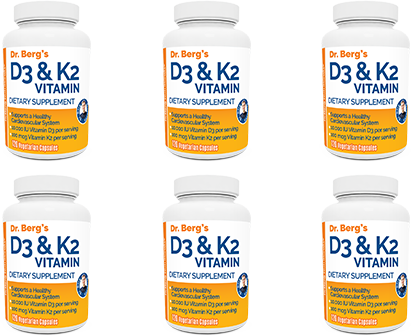 **Newly Added Purified Bile Salts to Help Increase the Absorption of the Fat-Soluble Vitamins D3 and K2. Bile in your body is made by the liver and stored in the gallbladder. 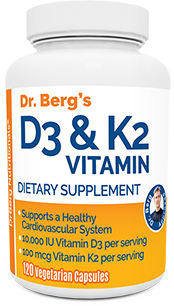 It is the "emulsifier" or dissolver of fat and certain vitamins (A, D, E and K2).